In this article you will learn Option Trading Basic Terms like Call Option, Put Option, At The Money, In The Money. Out of The Money Options, CE, CA, PE and PA. In your broker’s trading platform you will see this as CE. This means Call Option European-style settlement. In USA traders see it as CA. This is Call Option American-style settlement. Traders buy CE or Call Option when they feel the stock will move up. Which Call Option is the best to buy? This is a vast topic. In short it is very dangerous to buy OTM (Out of The Money) Call Options as they do not increase in value fast. New traders with less money in trading account buy them and lose money. Experienced traders buy ATM (At The Money) Option or ITM (In The Money) Options but they also have risks. In your broker’s trading platform you will see this as PE. This means Put Option European-style settlement. In USA traders see it as PA. This is Put Option American-style settlement. Note: Traders buy PE or Put Option when they feel the stock will move down. Which Put Option is the best to buy? This is a vast topic. In short it is very dangerous to buy OTM (Out of The Money) Put Options as they do not increase in value fast. New traders with less money in trading account buy them and lose money. Experienced traders buy ATM (At The Money) Option or ITM (In The Money) Options but they also have risks. In short: The price of an option depends on price of the underlying stock or Indices like Nifty, Bank Nifty. Call Options normally go up when the price of the underlying stock goes up. Put Options normally go up when the price of the underlying stock goes down. We will later discuss what is ATM (At The Money) and OTM (Out of The Money) and ITM (In The Money) Options. However buying ATM (At The Money) and ITM (In The Money) Options are risky too, but if direction right they make more money. On the other hand if direction wrong they lose more money. What is the difference between American-style options and European-style options? American-style options can be exercised any time prior to expiry. European-style options can be exercised only on the expiry day. Now you must be thinking in India we can exercise anytime not necessarily on the expiry day so why CE or PE or European-style options? Actually in India Options are cash settled so they just exchange hands like shares but are exercised on the expiry day only which means they finish trading on expiry day. 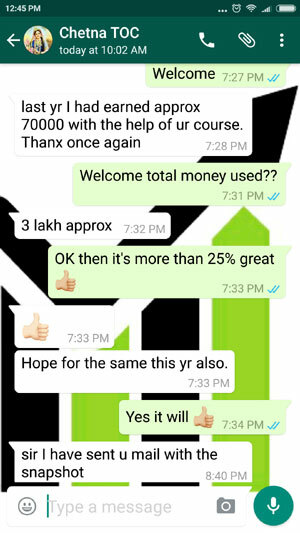 One trader buys 8500 CE of October 2016 expiry at 100. Next day he sold at 120. 20 points profit for the first buyer. Option is still alive and being traded if the person who bought wants to trade. After three days he sees the price at 70. He fears and sells it at 70. His loss 70-120 = -50 points. Option still alive not yet exercised. The third person is an Intraday trader. After one hour the same option at 61 he sells and takes a loss of 9 points. Option still alive. Positional trader buys it. Nifty zooms after 3 days. Option now again at 100. 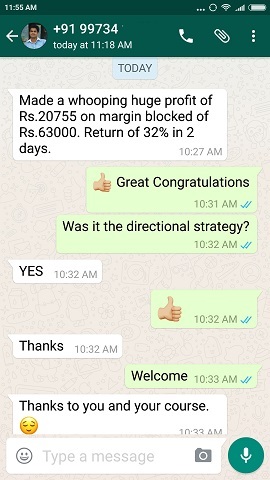 Trader sells it and makes a profit of 100-61 = 39 points. Like this it keeps exchanging owners. On expiry day (Thursday, 27-Oct-2016) this Option expires at 30 points as Nifty closes at 8530. The person who owns it can be either buyer or seller and at 3.29.30 pm closes it and it is exercised. It cannot be traded anymore. It dies. As you can see in between it was traded like stocks but not exercised until the expiry day. Therefore in India we call it European-style options. Right now (14-Oct-2016 11.40 am) Nifty is at 8582. So the nearest Option is at strike 8600. Therefore both CE and PE strikes of 8600 will be called ATM Option for now until Nifty moves beyond 8650 or below 8550. In India there are Options at 50s strike also but they are less traded than 100s strike. So I will consider 100s strike only. Nifty is at 8582. All CE Call Options of any expiry above 8600 are considered Out of The Money Options. Like 8650 CE, 8700 CE, 8750 CE, 8800 CE, 8850 CE etc. You will see their price decreasing as strikes move Out of The Money because chances of them getting exercised is very less. In most cases they expire worthless. But sometimes they get In The Money making huge loss for the OTM sellers of Call Options. Exactly opposite for OTM Put Options. 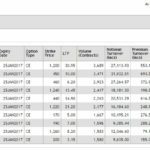 All PE Put Options of any expiry below 8600 are considered Out of The Money Options. Like 8550 PE, 8500 PE, 8450 PE, 8400 PE, 8350 PE etc. You will see their price decreasing as strikes move Out of The Money because chances of them getting exercised is very less. In most cases they expire worthless. But sometimes they get In The Money making huge loss for the OTM sellers of Put Options. Nifty is at 8582. All CE Call Options of any expiry below 8600 are considered In The Money Options. Like 8550 CE, 8500 CE, 8450 CE, 8400 CE, 8350 CE etc. You will see their price increasing as strikes move In The Money because chances of them getting exercised is very high. In most cases they expire In The Money. But sometimes they get Out of The Money and expire worthless making huge loss for the ITM buyers of Options. Exactly opposite for ITM Put Options. 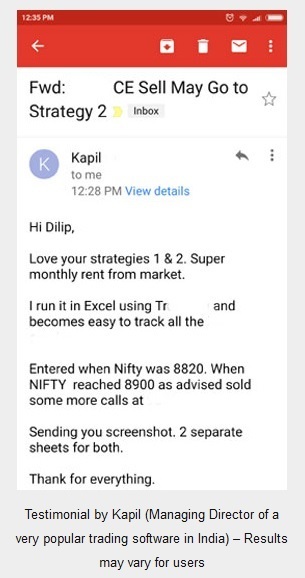 All PE Put Options of any expiry above 8600 are considered In The Money Put Options. Like 8650 PE, 8700 PE, 8750 PE, 8800 PE, 8850 PE etc. You will see their price increasing as strikes move In The Money because chances of them getting exercised is very high. In most cases they expire In The Money only. But sometimes they get Out of The Money making huge loss for the ITM buyers of Put Options. Next class we will discuss some more Options terms like Option Buyer, Option Writer or Seller, Contract, Expiry Dates, LEAPS, Naked Options, Open Interest etc. Mr.Dilip Shaw, I am Ramesh. Today the Basic option Terms was the Best, I would like to learn Basic from the root. Kindly wait i would be joining in the Month of November after 10th. Thanks for free Option Basic. These are very useful for beginner’s. Sir you are a very good mentor. Thanks. Thank you so much for this lucid explanation. I got to understand several new things. May God bless you for the pain you are taking in educating people like us. We are very grateful to you sir. Thxs sir for sharing such a useful information. Excellent Sir, although I did read it before, after this article I am much more confident. .
Ramesh, hari, buchks, NABIN, swaminathan, Apeksha, Tejas. 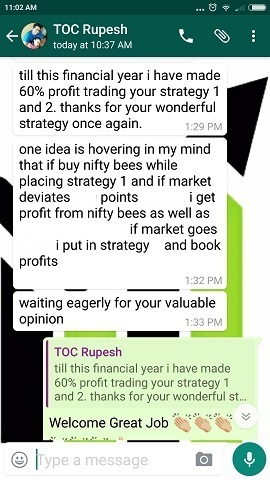 Sure I will keep writing such articles to help option traders. Thanks a lot for reading.